Before drawing up an economic roadmap, Telangana and Andhra pradesh have to tackle vexed issues like tax and power. The night leading to the dawn of June 2 was a watershed for a generation that had vowed to fight for a separate state of Telangana even if it meant living only on stew made of tamarind. So they all celebrated the successful end to their nearly six-decade-long struggle. In this period there have been many arguments for and against the idea of dividing the erstwhile Andhra Pradesh. Nevertheless Telangana was a foregone conclusion. Now the newborn states are slowly waking up to their economic reality and the challenges ahead. The secretariat in Hyderabad now stands divided with separate blocks for Telangana and Andhra. Hyderabad will remain the joint capital for both states for the next 10 years, after which Andhra Pradesh will have to look for a new capital. On the second day in his makeshift office, Telangana information technology and communication minister K.T. Rama Rao is buoyant. "What was mission impossible has become possible," he said. Rama Rao is also the panchayat raj minister and son of chief minister and TRS supremo K. Chandrasekhar Rao. However, people living outside the 10 districts of Telangana are yet to come to terms with a divided state with the capital in the other state. Just 15 km away from the secretariat, at the posh Jubilee Hills locality of Hyderabad, N. Chandrababu Naidu, the new chief minister of Andhra Pradesh, was eager to reach out to investors. "I need to build from the foundation and need special status and incentives for the industry. I want to make Andhra the hub of hardware and energy," Naidu had told the Business Today on May 16, the election result day. Meanwhile, in his first public speech after taking charge as Telangana's first CM, Rao had declared that he wanted to make the state 'the seed bowl' of India. He also wanted to push growth in the traditional sectors like IT and pharma that have fuelled the growth of Hyderabad. With the bifurcation of the state, Hyderabad is now undoubtedly the jewel of Telangana. While Rao is getting ready to draft an "industry-friendly policy" for Telangana, Naidu is expected to leverage his lobbying power with the Modi government at the Centre for concessions. "Policy paralysis had hurt Hyderabad? I want to correct that and I have reached out to all major investors in the IT sector who are already the investors here. I am persuading them to expand and many of them are willing to. I am promising them political and economic stability," says Rama Rao. At the crux of all this machinations are a plethora of unresolved issues between the two states that need urgent attention. According to K.V. Vishnu Raju, Chairman of the Anjani Group that makes cement and ceramic tiles and also runs higher education institutions, resolving the industry concerns on state taxes comes first. "There will be lot of interdependence between the two new states and it is important that issues of taxation and power supply, the key requirements of the industry, are addressed quickly," he says. Elaborating on the specific concerns, Raju says, "If you have a manufacturing facility in Telangana and a captive power plant in Andhra, it is now an inter-state sale of power." Raju says rationalisation of taxes is most important mainly because under a combined state the sale of goods attracted Value-Added Tax (VAT). "But post bifurcation, industries would have to transfer their stock, open godowns and pay additional local taxes in the other state," he says. Suresh Rayudu Chitturi, Chairman of Andhra Pradesh chapter of CII and Vice-Chairman and Managing Director of Srinivasa Hatcheries, too has similar concerns. "Movement by companies located in Telangana and Andhra would become inter-state job work. This would entail related stock transfer and credit reversal," he says. 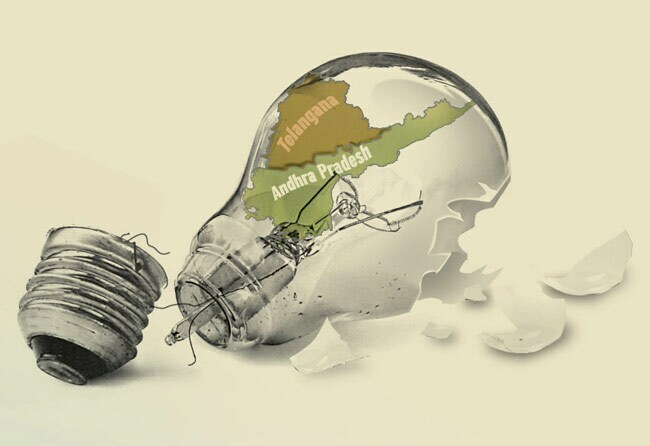 According to a recent Ernst & Young report titled 'Andhra Pradesh bifurcation', the new Andhra Pradesh may get larger per capita transfers from the Planning Commission and the Central ministries thanks to the special category status for a period of five years. Telangana on the other hand stands to gain more as it may get per capita transfers from both the plan panel and the Finance Commission due to its less developed low per capita income districts, the report states. The report also points out that the tax bases will have to be divided between the two states depending on the distribution of economic activities. "Enterprises (both public and private) operating in the combined state with headquarters in Hyderabad may stand at the risk of paying a significant share of state taxes in Hyderabad. As a result, the division of such enterprises based on the location of their production facilities will also divide tax revenues," the reports states. It further states that this will "give rise to complexities pertaining to the recovering of tax arrears". On the division of assets, liabilities and government employees, the report says, "The broad principle that will be followed for the division of physical assets of the erstwhile Andhra Pradesh government between the two new states will be based on the location of the assets. In cases where this cannot be applied, the division will be based on the respective share of population." The division of government employees too will be based on Andhra Pradesh Reorganisation Act 2014. "In relation to the IAS, IPS and Indian Forest Service, two separate cadres will be created. From the day of bifurcation, the employees of PSUs, corporations and other autonomous bodies will continue to function in such undertaking, corporation or autonomous bodies for a year. During this period, the concerned corporate body will have to determine the modalities for distributing the personnel," the Act states. The immediate challenge for the two new states lies in the power sector. The undivided Andhra Pradesh, as on March 31, 2013, had a total installed capacity of 16,389 megawatt, of which around 2,500 MW was gas based and lying nearly idle. Close to 4,000 MW was generated from hydel power and around 450 MW from renewable sources like wind and solar power. While power generation from hydel projects was seasonal, the same from renewable sources had a low plant load factors. The power demand across the two states was 11,630 MW and this implies that there is a constant need to buy power to bridge the gap. 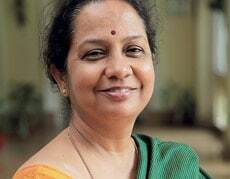 "States need to find resources for this and for all the short-term power purchase need to plan in advance," says Usha Ramachandra, Professor and Chairperson, Energy Area, Administrative Staff College of India. According to her, to settle issues related to power, both states need to focus their attention on the status and validity of GO 53 of 2008. The order provides for the allocation of power between the power distribution companies. However, Rama Rao is confident that solutions will be hammered out through discussions. "There are a lot of interstate issues where the industry is worried like the VAT. Certainly we can sit and talk to our neighbouring state as they are our Telugu brothers. Whatever is in the interest of the industry, we would be happy to talk to Naidu and sort out the issues," he says. No promise or incentive is more lucrative for an investor than uninterrupted power supply. While both Andhra and Telangana are busy wooing investors, a reality check on the power sector tells a different tale. All the four distribution companies (discoms) of the erstwhile Andhra Pradesh are in the red. According to the annual reports of discoms for 2012/13, the net loss for Andhra Pradesh Central Power Distribution Company Ltd (now Telangana South Distribution Company) was Rs 7,718.29 crore. While the loss for Andhra Pradesh Eastern Power Distribution Company Ltd was Rs 1,680.55 crore, it was Rs 4,675 crore for Andhra Pradesh Southern Power Distribution Company Ltd (APSPDCL) and Rs 3,436.07 crore for Andhra Pradesh Northern Power Distribution Company Ltd (now T e l a n g a n a N o r t h Distribution Company). According to the Central Electricity Authority, the anticipated deficit for the two states combined for 2014/15 is 15.3 per cent and the peak deficit 21.4 per cent, one of the highest in the country. The energy deficit is the difference between demand for power and that actually generated. Peak deficit is the power deficit during the peak hours. In the short-run, how industry friendly the states are would depend on the ability of discoms to fill the demand-supply gap by sourcing short-term power through bilateral trade or by procuring it from captive power plants. The ability to do this depends on the financial prowess of the respective discoms/governments. The only major relief is the fact that since January the Power Grid Corporation has linked the southern power grid to the national grid. This has made it easy to transmit power from one state to another. Meanwhile, all long-term power purchases have been allocated as per the Government Order (GO) 53 of 2008. In 2014, as per the Andhra Pradesh Reorganisation Act, it was modified to attach Kurnool and Anantapur districts to the APSPDCL. "The two governments need to strengthen the discoms," says L. Madhusudhan Rao, Executive Chairman of power and construction company Lanco Infratech. The obvious question for investors is will the states be able to replicate the Gujarat model of Jyoti Gram that provides uninterrupted power supply. Usha Ramachandra, professor and chairperson, Energy Area at the Administrative Staff College of India, says it is possible but requires upfront investment to segregate the feeders. "There is no point in feeder segregation if there is no commitment to meet the power needs of the non-agriculture load. The low tension lines and last mile connection should be upgraded or else the distribution loss would go up on account of uninterrupted supply," she says.